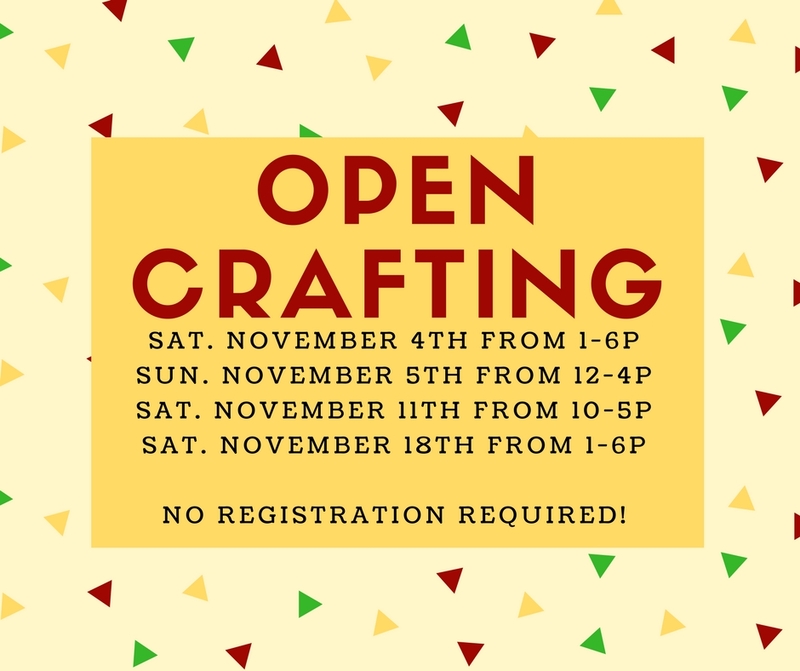 The open crafting weekends in November are Saturday 11/4, Sunday 11/5, Saturday 11/11, and Sunday 11/18. On the select Saturdays, open crafting runs from 1:00p-6:00p and on the select Sundays, open crafting runs from 12pm - 4pm. However, open crafting on Saturday 11/11 will run from 10:00am-5:00pm.